The Mayo Business Plan Competition is designed to increase student appreciation for the challenge of developing a viable business. Through an iterative process the MBPC recognizes those students best able to articulate a plan that addresses these challenges. In recognition of both the time involved and difficulty of the task, the competition provides a substantial reward for the successful teams. Congratulations to Sarah Sleiman and Pulkit Gupta of team Code the Future for winning first place in the 2019 Mayo Business Plan Competition. Sleiman and Gupta are both senior business students. They won the $30,000 prize money for their business Code the Future. Code the Future is on the mission of increasing the number of science, technology, engineering, and math (STEM) graduates by running fun coding programs for students in grades 2 through 8. Some of these programs include robotics building and programming, programming self-driving cars, and even coding your own song! Learn more at codethefuture.io. Ben Schulman, senior, finance, Thomas Holland, junior, computer science, and Harrison Kelly, senior, interdisciplinary business, members of team Symbiotic Games won $20,000 as the second place team. 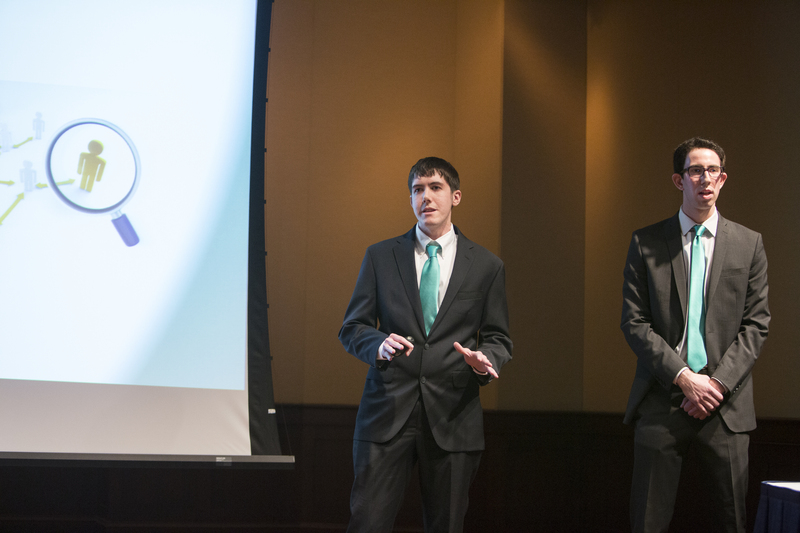 Sai Batchu, senior, biology, and Justin Fernandez, senior, finance, took home $10,000 as team SixthSense Technologies. Congratulations to all of this year’s participants! 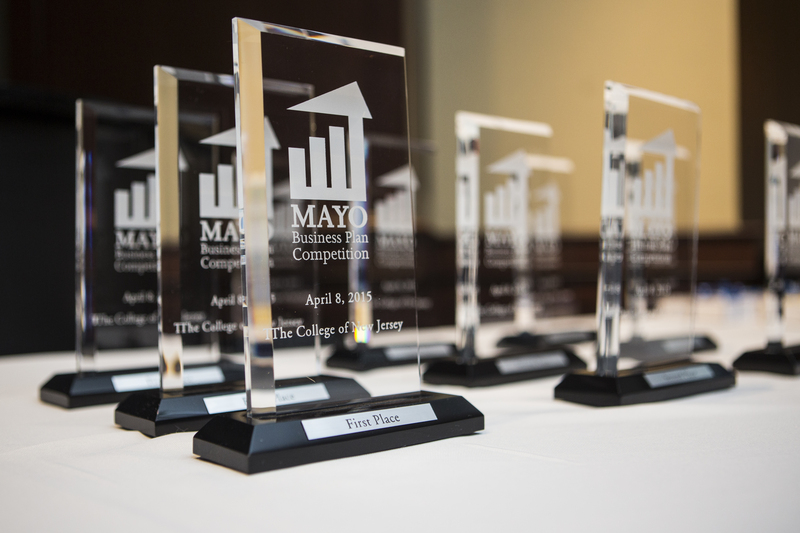 The final three teams competing in the 2019 Mayo Business Plan Competition have been selected. Come see them present during the live final event on Wednesday, April 3, 5:00 p.m., in the Mayo Concert Hall. This is event is open to the public! The first place team will be awarded $30,000 in prize money, second place $20,000, and third place $10,000. Code the Future Pulkit Gupta, senior, accounting Sarah Sleiman, senior, management Code the Future is on the mission of increasing the number of science, technology, engineering, and math (STEM) graduates by running fun coding programs for students in grades 2 through 8. Some of these programs include robotics building and programming, programming self-driving cars, and even coding your own song! Learn more at codethefuture.io. Sixth Sense Sai Batchu, senior, biology Justin Fernandez, senior, finance SixthSense Technologies has developed a lightweight headgear that uses ultrasonic technology to warn users of dangers outside their scope of vision through haptic feedback. Symbiotic Games Ben Schulman, senior, finance Thomas Holland, junior, computer science Harrison Kelly, senior, interdisciplinary business Symbiotic Games is an entertainment company that creates, develops, and publishes party games in a digital and tabletop format to be enjoyed with friends, family, and new acquaintances. The six semi-finalist teams have been selected to advance to the next round in the Mayo Business Plan Competition. On March 6, the semi-finalists will deliver a presentation before a panel of judges, and three teams will advance to the finals on April 3. The finals are open to the public on April 3, 5:00 p.m., in the Mayo Concert Hall. A top prize of $30,000 will be awarded to the winning team with prizes of $20,000 and $10,000 for second and third place teams. AeroLife Giovanna Costa, sophomore, civil engineering Anthony Prisco, senior, finance Peter Stahl, junior, mechanical engineering Jordan Sinoway, sophomore, computer engineering AeroLife is a team of engineering-minded individuals, each equipped with the specialized knowledge integral to making AeroLife a reality. A passion for technology, aviation, and medicine drives our team to develop a business that will not only be financially successful, but save lives and improve society in the process. Buddy Brooke Schwartzman, senior, international studies Sophie Crossley, senior, communication studies Buddy is a harm reduction app targeting new marijuana consumers. The app is looking to neutrally provide information without promoting marijuana use. Code the Future Pulkit Gupta, senior, accounting Sarah Sleiman, senior, management Code the Future is on the mission of increasing the number of science, technology, engineering, and math (STEM) graduates by running fun coding programs for students in grades 2 through 8. Some of these programs include robotics building and programming, programming self-driving cars, and even coding your own song! Learn more at codethefuture.io. LastChekk Justin Brach, senior, finance Kate Galgano, senior, finance Matthew Liebers, senior, finance With a goal of connecting students with off-campus communities, LastChekk is a platform that helps students secure off-campus housing when their respective institution does not have enough space to accommodate them. Sixth Sense Sai Batchu, senior, biology Justin Fernandez, senior, finance SixthSense Technologies has developed a lightweight headgear that uses ultrasonic technology to warn users of dangers outside their scope of vision through haptic feedback. Symbiotic Games Ben Schulman, senior, finance Thomas Holland, junior, computer science Harrison Kelly, senior, interdisciplinary business Symbiotic Games is an entertainment company that creates, develops, and publishes party games in a digital and tabletop format to be enjoyed with friends, family, and new acquaintances. The 2019 Mayo Business Plan Competition is officially underway. The intent-to-compete registration window is November 2-30, 2018. Full details and the registration form are available here. Be sure to read all information carefully. 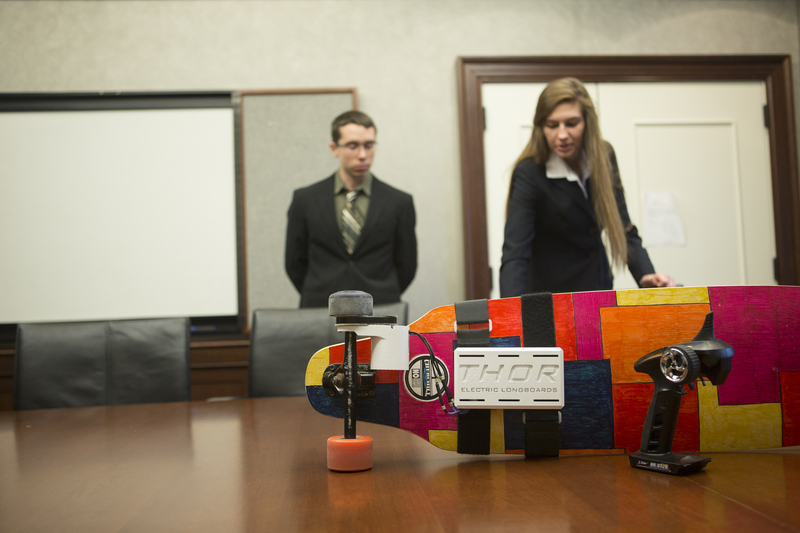 The Mayo Business Plan Competition was listed in the top eight best competitions for students to consider entering, by Business News Daily. The full story is available here. Students interested in competing in the 2018-2019 Competition are encouraged to attend an information session on Thursday, September 27, 6:00 P.M. in the Business Building Lounge. Email Nicole Beagin with questions. Congratulations to Jacob Boyle and Ryan Chiu of team MARCo for winning first place in the 2018 Mayo Business Plan Competition. 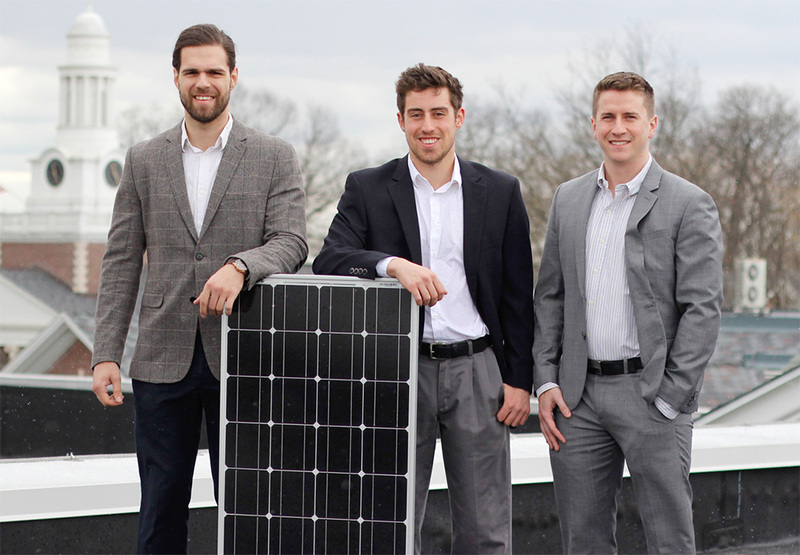 Boyle, a junior mechanical engineering student, and Chiu, an accounting student, won the $30,000 prize money for their work on MARCo Technologies. MARCo Technologies’ mission is to assist individuals suffering from mental illness by introducing a caring and compassionate robotic companion. Our current MARCo prototype aims to address the imbalance between mental health professionals and patients while also providing innovative mental health treatment and therapy through MARCo’s built-in features. These features include facial recognition technology, conversational abilities, a touch screen, heartbeat sensor, and LED responsive eyes. Our Tsunami came in second place, winning $20,000 in prize money, and Sneaker Creatures came in third place, winning $10,000. Congratulations to all of this year's participants! The final three teams competing in the 2018 Mayo Business Plan Competition have been selected. Come see them present during the live final event on Wednesday, April 4, 5:00 p.m., in the Mayo Concert Hall. This is event is open to the public! 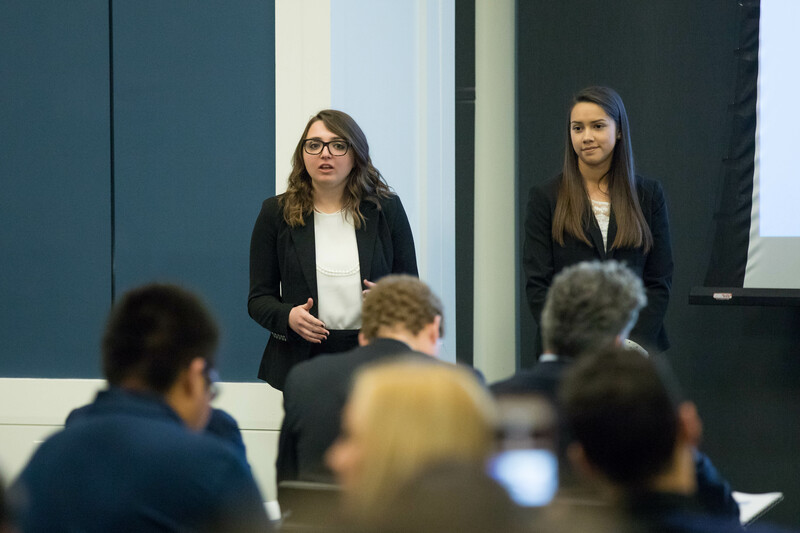 "Now in its seventh year, the Mayo Business Plan Competition attracts some truly excellent business plans from TCNJ students from across campus,” said William Keep, Dean, School of Business. “This year's final three teams illustrate the wide range of ideas and the quality of work that have become the hallmark of this competition." MARCo Jacob Boyle, junior. mechanical engineering; Ryan Chiu, junior, accounting MARCo Technologies’ mission is to assist individuals suffering from mental illness by introducing a caring and compassionate robotic companion. Our current MARCo prototype aims to address the imbalance between mental health professionals and patients while also providing innovative mental health treatment and therapy through MARCo’s built-in features. These features include facial recognition technology, conversational abilities, a touch screen, heartbeat sensor, and LED responsive eyes. Our Tsunami Neil Desai, junior, finance; Erika Hausheer, junior, finance; Sung Min Kwon, senior, marketing; Dennis Tuohy, junior, political science/economics We are striving to make a wave of a change in the Ocean Rescue community through improving rescue response times. Unlike police and fire, which are also both city-funded lifesaving forces, lifeguards lack a standard quality uniform. Our Tsunami aims to overcome this issue and deliver sustainable, durable, and affordable board-shorts that withstand rough ocean conditions. Sneaker Creatures Benjamin Cutler, freshman, economics; Jonathan Lugo, freshman, management Sneaker Creatures engage in the buying and selling of sneakers and other athletic apparel. Our goal is to provide a simple marketplace for people to find high quality and affordable merchandise. If you are looking for fashionable sportswear our website, SneakerCreature.com will be the place to go. 2018 Mayo Business Plan Competition Semi-Finalists Announced The six semi-finalist teams have been selected to advance to the next round in the Mayo Business Plan Competition. 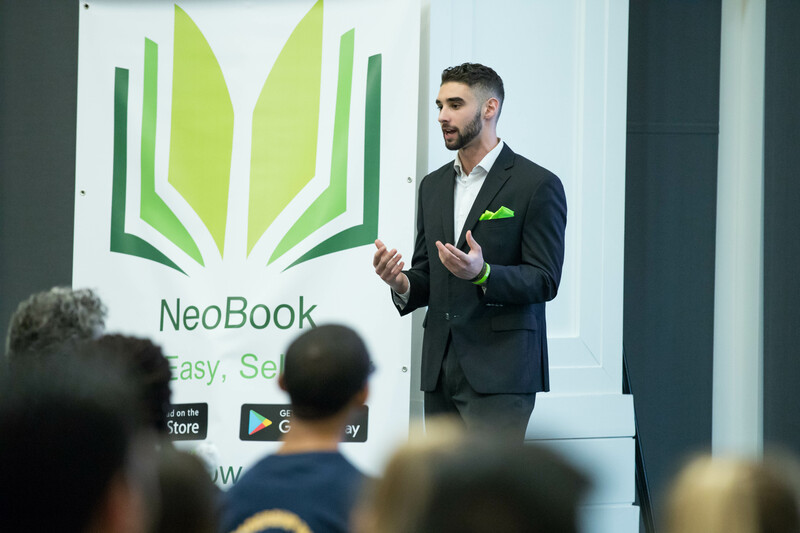 On March 7, the semi-finalists will deliver a presentation before a select panel of judges, and only three teams will advance to the finals on April 4. The finals are open to the public on April 4, 5:00 p.m., in the Mayo Concert Hall. A top prize of $30,000 will be awarded to the winning team with prizes of $20,000 and $10,000 for second and third place teams. Genesis Stephen Boncimino, senior, accounting; Lawrence Maloney, senior, accounting At Genesis, we are striving to redefine the “salon” as we know it and create an environment where everyone and anyone can enjoy beautification and grooming. Through strategic partnerships with local businesses we hope to nurture a community of mutual success and innovation. We hope to be the catalyst that allows our partners to move beyond business, and find newfound growth as part of the Genesis family. HydroBand Lydia Christiano, junior, marketing; Tyler Conde, senior, mechanical engineering; Courtney Dietrich, sophomore, economics; Klaudia Gil, junior, marketing Our team at HydroBand recognized the need to ensure every individual can track their hydration levels with simplicity and elegance to improve overall health, lifestyle, and well-being. HydroBand is an adjustable band that encircles an individual’s water bottle to track the change in weight to determine water intake. MARCo Jacob Boyle, junior. mechanical engineering; Ryan Chiu, junior, accounting MARCo Technologies' mission is to assist individuals suffering from mental illness by introducing a caring and compassionate robotic companion. Our current MARCo prototype aims to address the imbalance between mental health professionals and patients while also providing innovative mental health treatment and therapy through MARCO's built-in features. These features include facial recognition technology, conversational abilities, a touch screen, heartbeat sensor, and LED responsive eyes. Our Tsunami Neil Desai, junior, finance; Erika Hausheer, junior, finance; Sung Min Kwon, senior, marketing; Dennis Tuohy, junior, political science/economics We are striving to make a wave of a change in the Ocean Rescue community through improving rescue response times. Unlike police and fire, which are also both city-funded lifesaving forces, lifeguards lack a standard quality uniform. Our Tsunami aims to overcome this issue and deliver sustainable, durable, and affordable board-shorts that withstand rough ocean conditions. Sneaker Creatures Benjamin Cutler, freshman, economics; Jonathan Lugo, freshman, management Sneaker Creatures engage in the buying and selling of sneakers and other athletic apparel. Our goal is to provide a simple marketplace for people to find high quality and affordable merchandise. If you are looking for fashionable sportswear our website Sneaker Creature.com will be the place to go. Sparrow Oommen Alexander, junior; Gregory Vaks, senior Sparrow is a mobile and web application that generates itineraries matching user preferences such as budget, location, and type of outing with local venues. Users can reserve a movie, dinner, and game of bowling all within one single application. With one click you can book it, save it, or share it with friends and family to get their input. You also have the ability to customize those recommendations by replacing one activity with a more appealing one. Interview with chief executive officer, Sarah Sleimen. This year we made a few important changes in the competition in the areas of confidentiality, prize money disbursement, and the evaluation rubric.